How much impact do critics’ awards have? Honorable Mentions tracks recent developments in the ever-changing world of film awards. Welcome to the critics-association portion of awards season, where there’s no point in getting too upset about any one group’s best-picture pick, because in approximately five minutes, another group will make an announcement that completely contradicts the previous one. Every year at this time, members of established film-reviewing groups across the country ingest as many movies as they possibly can prior to their voting deadlines. Then, usually in early-to-mid-December, they announce which films, artists, and performances qualified as the year’s finest. The results of these contests can sometimes be predictable, unveiling victors that have already been deemed front-runners in the Oscar race for months. But sometimes the honors go to under-the-radar films, or late entries that still have not been widely seen, like American Hustle. The safest choices are not guaranteed, which is what makes this part of the annual flurry of film-fêting sometimes maddening, but also fascinating. A bit of variety is a given, considering the number of critics groups that currently announce their opinions to the awards-tracking masses. There are, to be mathematically precise, a megaton of them, more than enough to keep the pre-Oscar accolade talliers busier than the minimum-wage elves working overtime at the North Pole. Places outside of the typical East and West Coast metropolitan areas are players in the game, too. There are film-critic societies and associations in St. Louis (since 2004); central Ohio (since 2002); Iowa (since 2003); Houston (since 2007); Florida (since 1996); Georgia (since 2011); Indiana (since 2009); and the city that keeps living and breathing despite threats of bankruptcy, Detroit (since 2007). This isn’t a complete list, either. Groups like these have proliferated, and in some cases, increased their membership because the web has created so many more avenues for film criticism. Everyone in the movie-reviewing business wants to get their mitts on for-your-consideration screeners, and the more “everyones” there are, the more people get involved in the process, assuming they meet the sometimes-rigorous (and sometimes not) admission standards set by their respective organizations. As has always been the case, certain critics’ circles carry more weight and generate more Oscar-buzzy attention than others. But it’s difficult to say with any certainty how much their selections, or any other group’s, ultimately influence the Oscars. In all honesty, it’s hard to imagine any member of the Academy sitting down with a ballot and saying, “Before I mark Meryl Streep in the Best Actress category, I really should consult the choices made by the Los Angeles Film Critics Association and the Oklahoma Film Critics Circle. You know, just to make sure I’m on the right track.” Still, the fact that the studios furnish screeners and screenings to most of these organizations suggests they bring some value from an Oscar-campaign-strategy perspective. That value is pretty straightforward: At this stage in the race, every win counts. When a group of critics declares a movie as the best of the year, that immediately becomes ad-copy fodder. 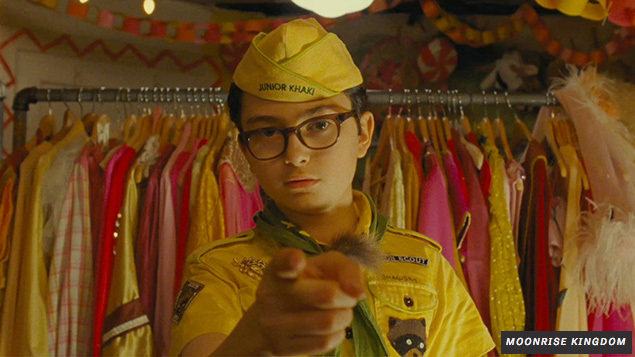 Last year, for example, when Moonrise Kingdom was either nominated or included on 10-best lists from critic societies in New York, Boston, Las Vegas, and Phoenix, a for-your-consideration ad for the Wes Anderson film noted that, with prominent text declaring it a “winner.” Similarly, an ad for Zero Dark Thirty touted its various accolades from groups in New York, Boston, and D.C. 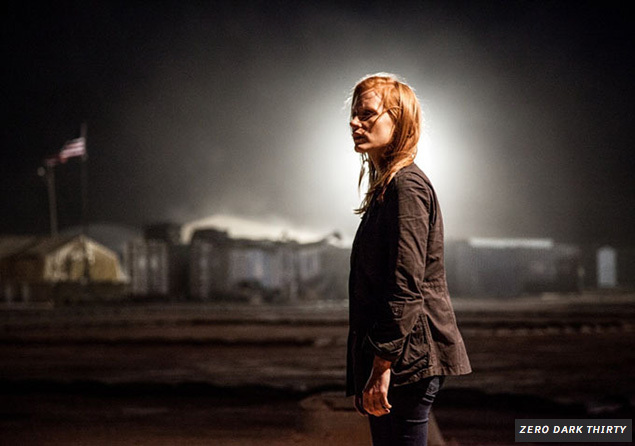 Zero Dark Thirty went on to earn five Academy Award nominations, and win the Sound Editing award, while Moonrise Kingdom earned a nod for best screenplay, losing to Django Unchained. Did either of those movies earn that Oscar love as a direct result of film-critic-group support? Probably not. But when voting members of the Academy and the various guilds attempt to prioritize their screener-viewing schedules, seeing prize-related praise build up around a movie can push it from a possible-watch to a must-see. That’s where all this critic-group jockeying can pay off for the studios, too. Sure, they’re hoping to rack up prizes for their films, but with many of these movies releasing at Christmastime, they also want to make sure the public buys tickets. In that sense, the studios may view the discerning members of all these regional organizations as potential evangelists for their films. 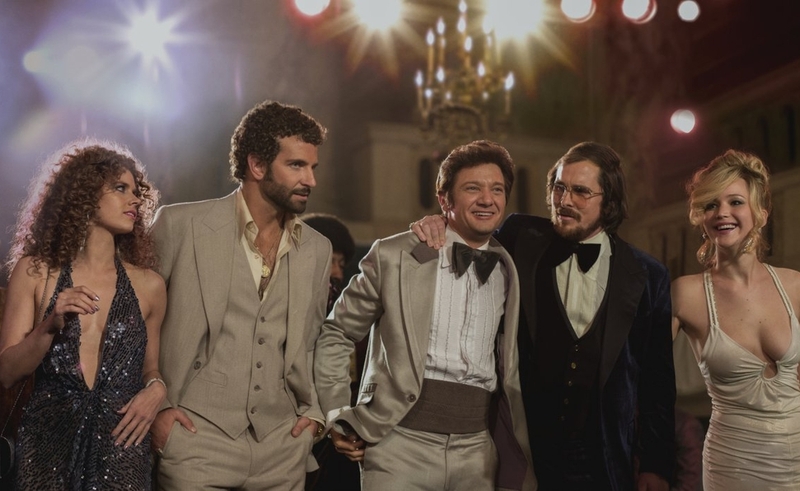 On December 18, when American Hustle opens wide, it’s just as important to reach the moviegoers in Kansas City and Houston as the ones in New York and L.A. If the critics in those cities have championed their movies in the form of nominations and wins, that’s better for their box-office chances. All self-respecting critics will say the last thing they care about is helping studios shill products. Critics exist to guide fellow filmgoers to worthwhile motion pictures and to spark spirited conversation about which movies fall into that category. On that last score—as the New York Film Critics Circle chatter this week demonstrates—the critics’ groups certainly succeed. In 2012, plenty of critical coteries went with the obvious, selecting Argo or Zero Dark Thirty as their best picture. But just as many veered in different directions, opting for Lincoln, The Master, Amour, or—in the Indiana Film Journalists Association’s case—Safety Not Guaranteed. The divergence isn’t limited to the best-picture category, either. In 2011, the Kansas City Film Critics Circle named Kirsten Dunst as best actress in Melancholia. The Houston Film Critics Society went with Tilda Swinton in We Need To Talk About Kevin. That same year, its first in existence, the Georgia Film Critics Association selected Juliette Binoche for her work in Certified Copy. Some will argue that certain groups deliberately go off the reservation with their choices as a way to get attention, or to establish their cred as an anti-establishment assembly of “true movie lovers.” In my experience, though, most critics take their voting responsibilities pretty seriously. When most of them vote, they’re not trying to give anything more than an honest assessment of what they considered the best. Maybe it’s the film critic in me talking, but I’m encouraged by the wildly all-over-the-map nature of those bests. By the time the Academy Awards roll around, there’s usually a sense that the winners are pre-ordained. It feels like it gets easier and easier each year to win the office Oscar pool, because the races feel pretty decided by the final lap of trophy season. Which is why I can’t complain now, when a bunch of movie reviewers in Manhattan surprise everyone by honoring a film in which Jennifer Lawrence causes a microwave fire. Maybe American Hustle is the best movie of the year. Maybe it isn’t. Every last element of this whole awards thing is completely subjective anyway, vulnerable to the winds of personal opinion, private bias, industry politics, and the way the balance can tip during a tight voting session. The best we can hope for at this stage is that the critics—from the big names in New York to the lower-profile but equally discerning film buffs in smaller towns—manage to keep things interesting. If this week is any indication, that shouldn’t be a problem.